The team behind the best selling Garden House has created another inviting guide to bringing the outdoors in. 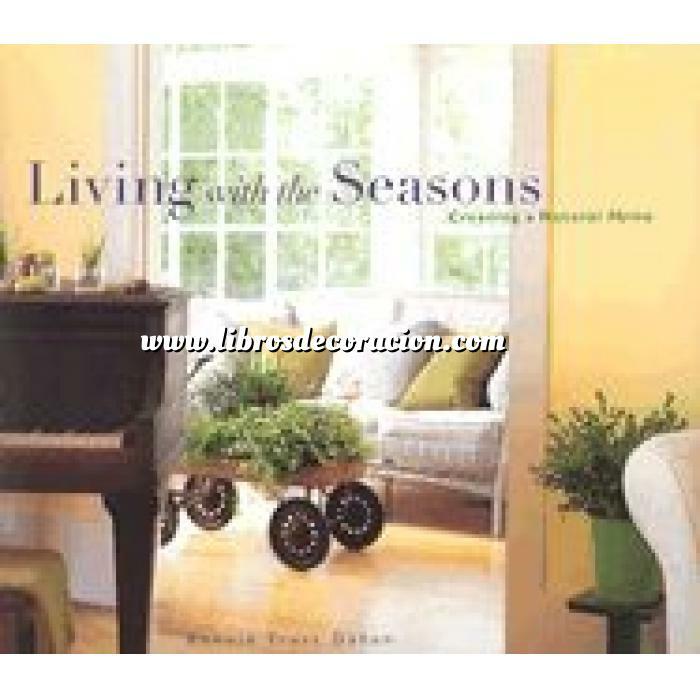 Living with the Seasons features countless ways to bring the signs of the season into every home by drawing on the colors of nature and engaging the senses. The team behind the best selling Garden House has created another inviting guide to bringing the outdoors in. Living with the Seasons features countless ways to bring the signs of the season into every home by drawing on the colors of nature and engaging the senses. In spring, for example, a bedroom gets a makeover from lime green linens and a display of fresh cut violet hyacinths. In autumn, a home office is reinvented with vibrant fall squash displayed in glass cylinders like modern art. Here are scores of ideas for changing the look of a room with just a few easy and inexpensive touches. Throughout, Shaun Sullivan's radiant photographs capture the rich textures and colors of organic materials, while Bonnie Trust Dahan's inspirational and instructive text makes decorating with seasonal flowers, plants, and fabrics a natural instinct. Whether studio apartment or hilltop mansion, any home will find rejuvenating style with a little help from Mother Nature and the creative ideas found here.